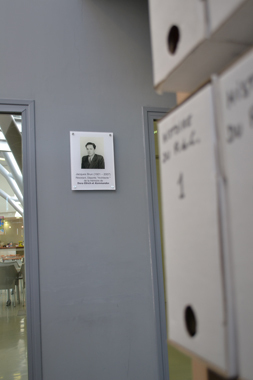 In 1997, a memorial commitment was made to the associations of Dora’s survivors: the aim was to produce a biographical dictionary of the deportees from France to Dora and its Kommandos. The large-scale research program, launched in 2004, was entrusted to Laurent Thiery, historian. In 2013, following the census of nearly 9,000 deportees, an author team was set up and the writing phase of the biographical notes was initiated. 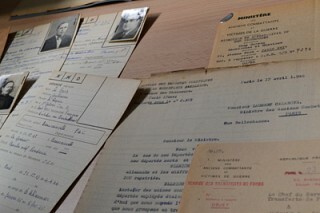 The main structures related to these issues of history and memory are partners of the project (DMPA/ministère de la Défense, Fondation pour la Mémoire de la Déportation, Commission Dora-Ellrich, Association Buchenwald-Dora et Kommandos, etc.). Ultimately, for the commemoration of the 75th anniversary of the liberation of Dora and the concentration camps in April 2020, we prepare an immense memorial paying tribute to these 9,000 people. Memorial: to gather, for the first time, these 9,000 victims in order to keep an individual trace of each deportee. Scientific: to respond several historical issues that will help to increase knowledge about the phenomena of mass violence. Educational: to provide a tool for teachers to transmit to future generations the memory and history of these victims of Nazism. The period of the Second World War. The post-deportation in a new world for those who survived the concentration camp experience. 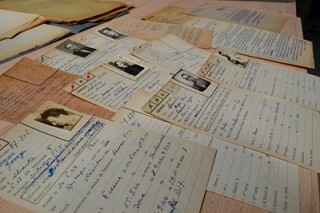 To ensure the project is carried out in the best possible way, we appeal to all, but in particular to the families, to give us, in the form of copies, all the documents and information allowing to complete the personal path of each deportee of Dora: an individual photo in order for victims to be given a face again, military record book, information on the professional career, on activity in the Resistance, for survivors of deportation, the date and place of death, etc. Do not hesitate to contact us.